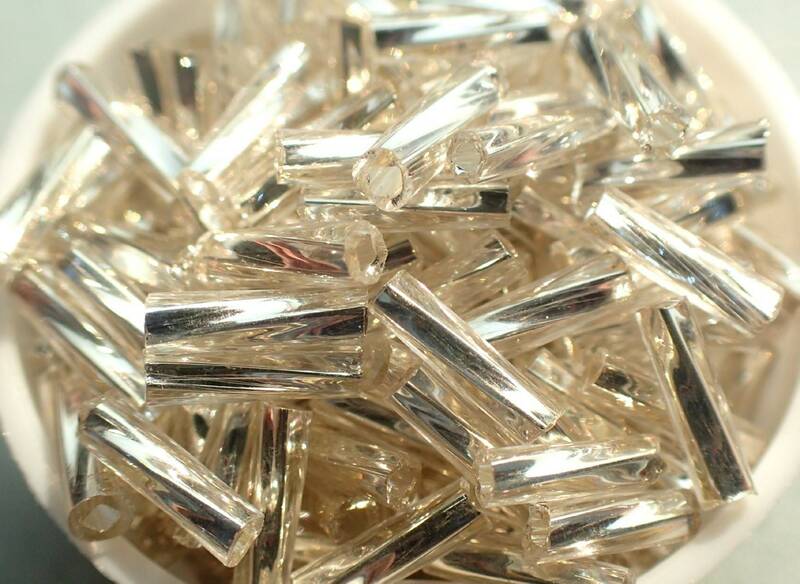 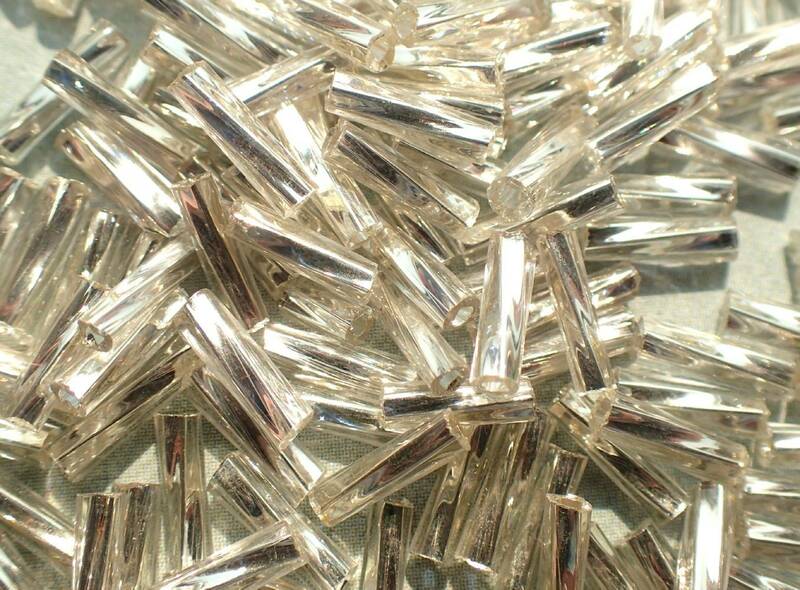 These are twisted glass bugle beads in a shiny silver color. 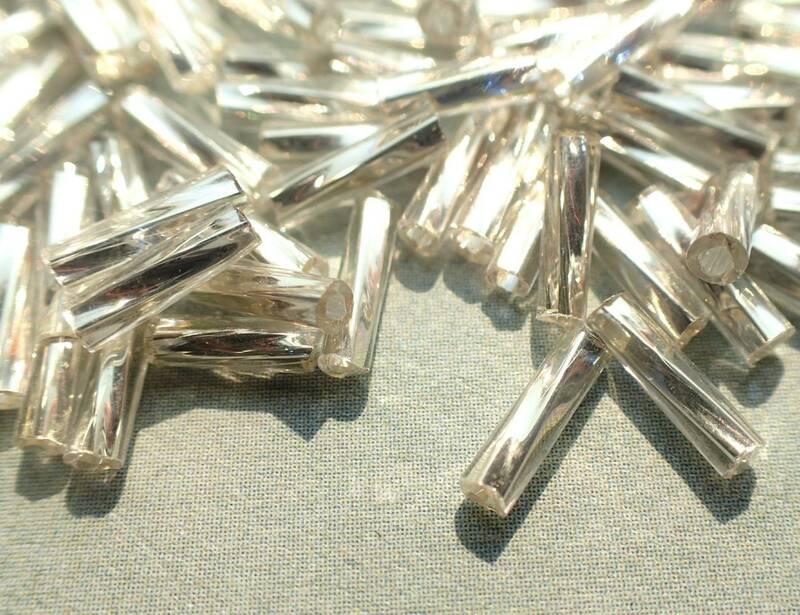 They are 2x6mm in size with a hole approximately .8mm. 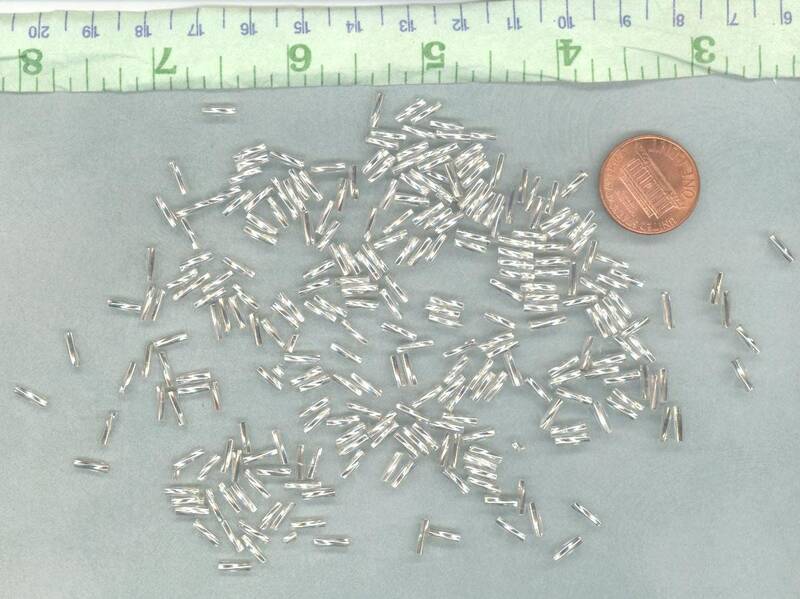 This is for 20g of beads, which is approximately 480 beads. 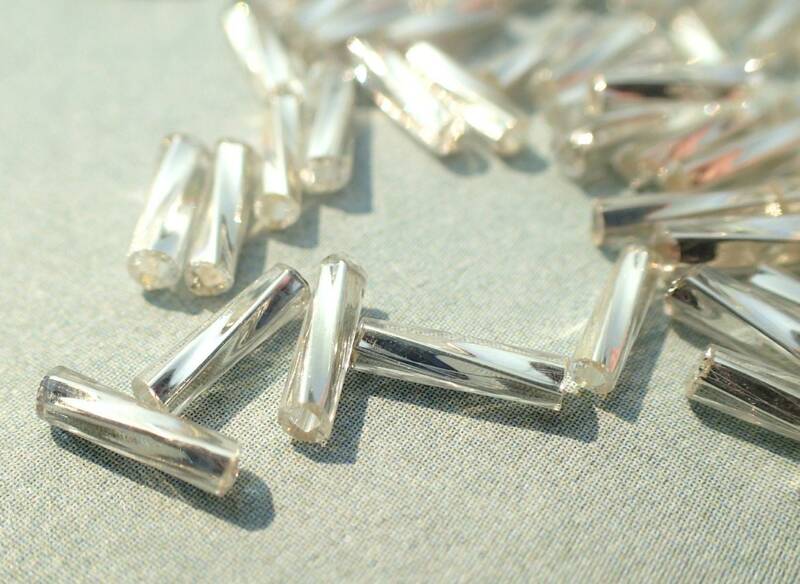 Use these in your jewelry, attach them to costumes or other flashy clothes, or use them in your mixed media, including your mosaics.